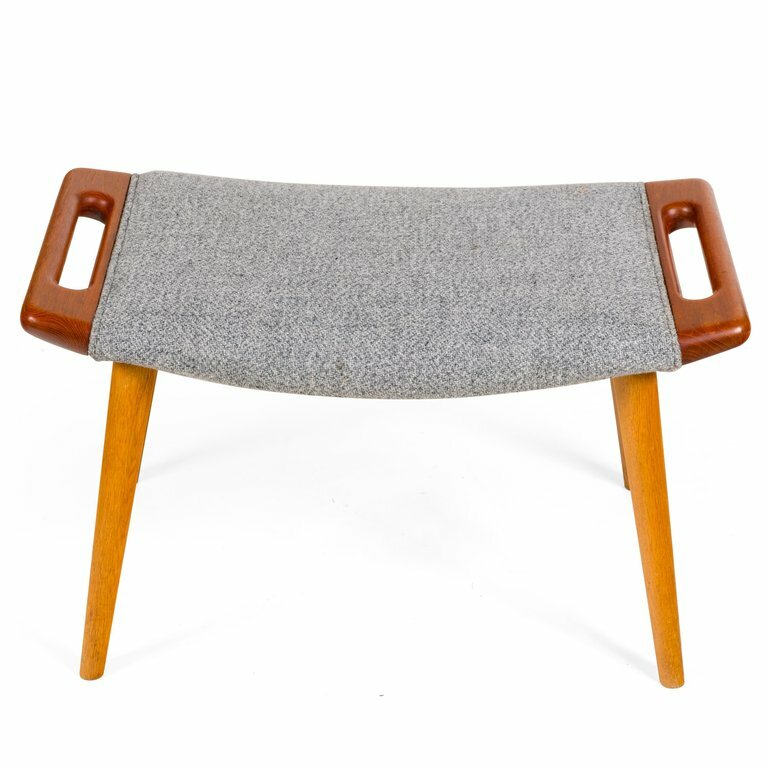 An original papa bear chair and ottoman by Hans Wegner, designed in 1951 and manufactured by AP Stolen as model AP19. It has the original two-tone blue fabric and is stamped A.P. Stolen. H 39 in. x W 36 in. x D 50 in.